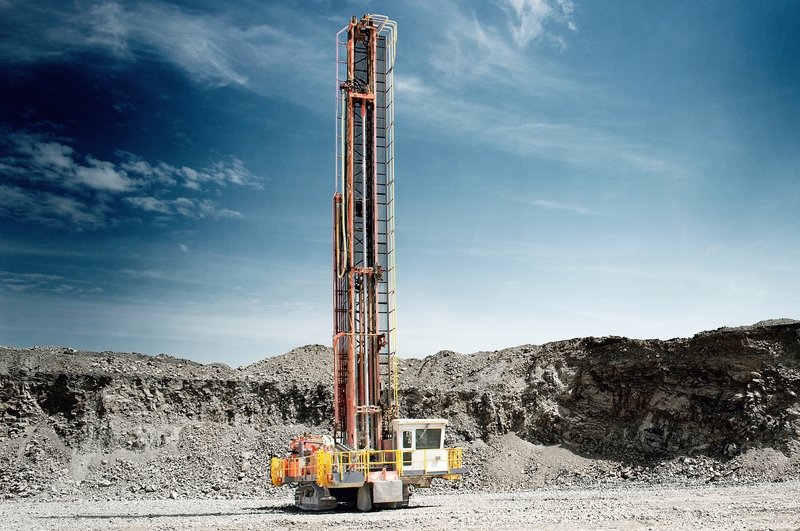 Sandvik has launched a diesel powered, self-propelled, crawler-mounted automation-ready blasthole drill. The DR461i is the latest incarnation of the DR460 drill rig, and comes equipped for rotary or DTH drilling. The new DR461i features several safety upgrades, such as autonomous pipe handling, above-the-deck bit change, additional walkways, hand railings and safety interlocks. The company says it was designed with various standards in mind, like the Mining Design Guidelines (MDG) for mobile and transportable equipment, Earth Moving Equipment Safety Roundtable (EMESRT) Design Philosophies and CE conformity marking. The cab is all new too. It comes with extra sound insulation, to 80 decibels or less, as well as air conditioning. The drilling and tramming controls are ‘all in the seat’, and a new Graphical User Interface (GUI) relays information from a battery of sensors located around the machine including on the motor, compressor, rotary head and tracks. This is all shown on an interactive touch-screen. A safari-style canopy roof is designed to keep the cab cool. Mine Master is launching two distinct new drilling rigs into the Australian market. The Face Master 2.5NVDR is designed for narrow vein mining, while the Face Master 2.8MPD is designed for rapid deployment. Both units will be fully tested in the middle of 2015 by the company and its project partner Murray Engineering Company, which will be service provider. The location for the trials is set to be Kalgoorlie (WA). The Face Master 2.5NVDR has a raft of new features, including a drilling coverage 25 m2 (5x5m), a powerful hydrostatic tramming system to drive at 14º angle and a dedicated automated main articulation lock for high stability during drilling operations. The Face Master 2.8MPD features a Montabert HC 110CS drifter, equipped with water box, prepared for harsh flushing water. Both machines feature 360º roll-over in both planes for safe replacement of the drill bit from operator’s compartment, as well as FOPS & ROPS certified operator’s protection canopy with lifting segment for better visibility during vertical drilling. Atlas Copco is bringing its communications technology up to date with the launch of a new Blasthole Drills Mobile App for the Pit Viper Series. It features case studies, product information and interactive 3D models. The company wants to give potential customers a glimpse of features like productivity, serviceability and fuel consumption. JCB has developed what at first glance looks like it might be a scaling machine, but in fact has been designed for use in demolition. It does however have many features that could interest miners. The machine, which is currently munching its way through Birmingham New Street Train Station in England, includes LEDs for night vision, a non-biodegradable safe fuel system, a triple articulated boom, on board automated fire fighting equipment, dust suppression and a jet ski-style emergency stop pull chord.